These are VINYL flex sport Iron-on Numbers. 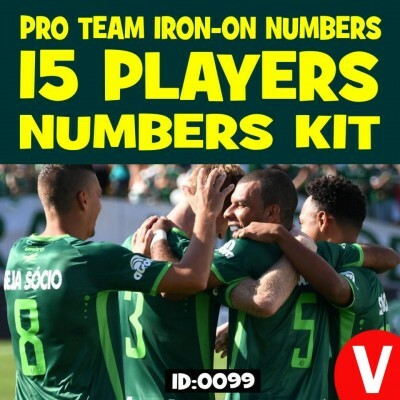 This 15 player iron-on numbers kit comes complete for 15 players, 1 to 15 consecutive, you choose the font, available in standard sizes 4"- 6" - 8" Tall, in various colors Vinyl. 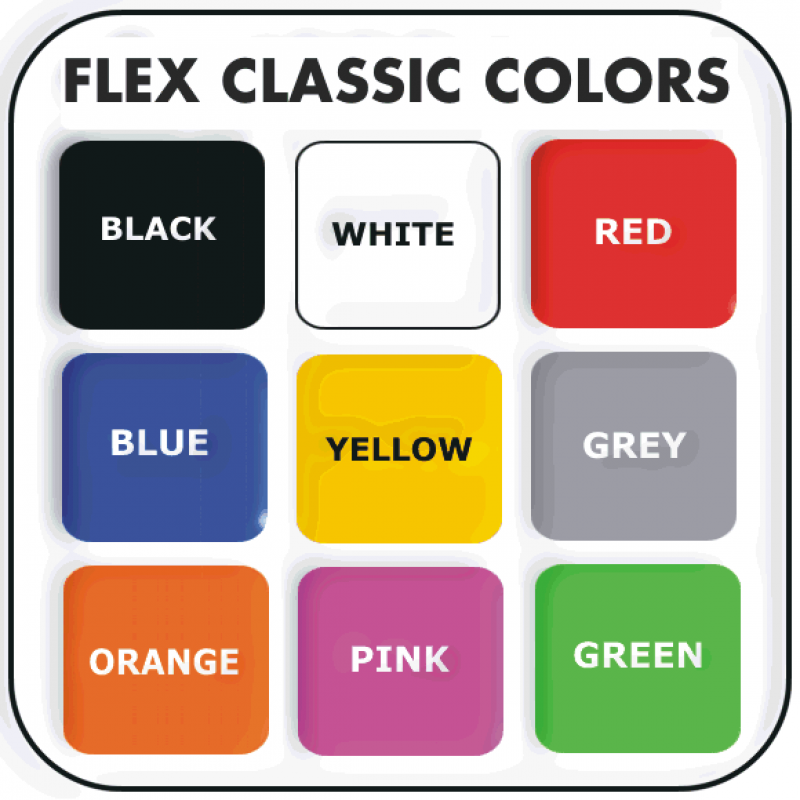 Print them yourself on your own jerseys of any fabric color, they works best on cotton, polyester and blends. 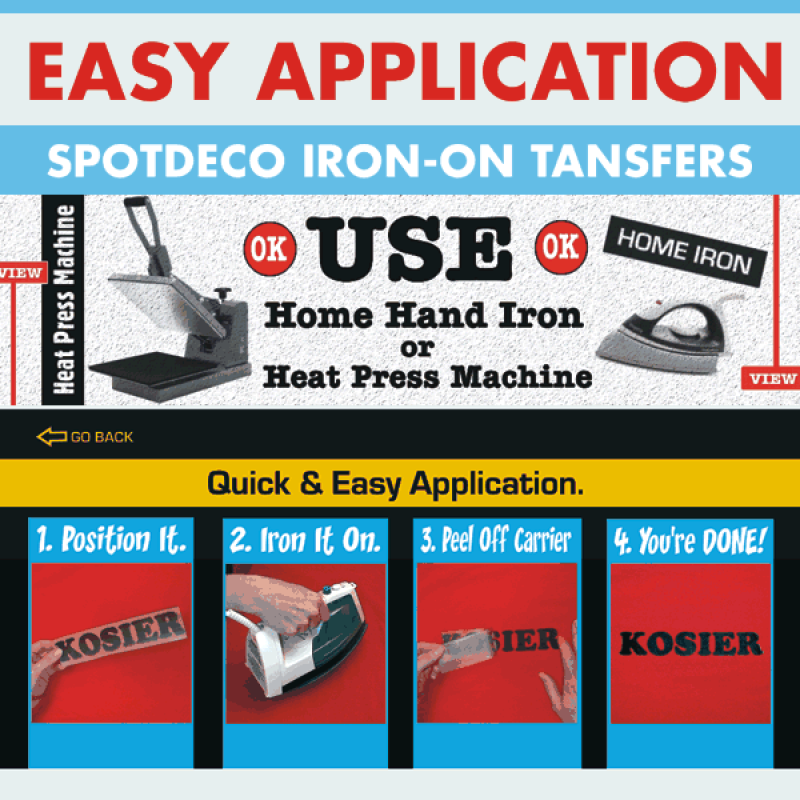 Use a home iron-on or heat press machine to print on your own jerseys, quick and easy to do. Come on a carrier sheet ready to apply along with EASY Application Instructions and free tester. Machine wash and dry cold. recommended. Do not steam clean. 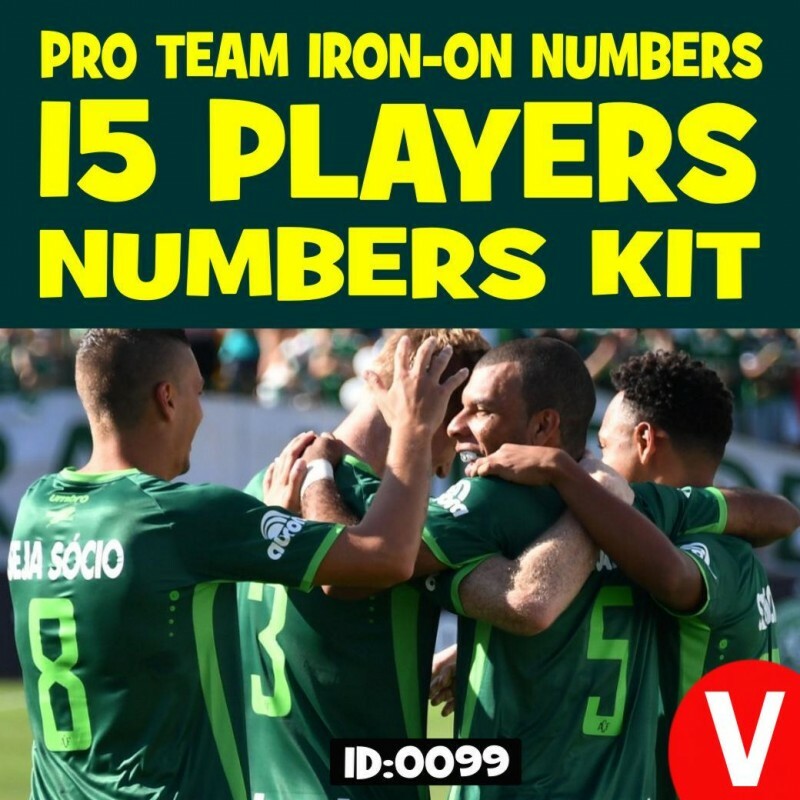 Each Kit contain: 1 to 15 Consecutive Numbers. note: Standard is: Front number at least 4 inches tall, Back number at least 6 inches tall.